With the President’s recent signing of the National Defense Authorization Act (NDAA) for Fiscal Year (FY) 2018, the United States government is taking a significant step in recognizing the criticality of space resilience and the importance of consistent, consolidated and strategic leadership in space. The potential impact cannot be overstated. 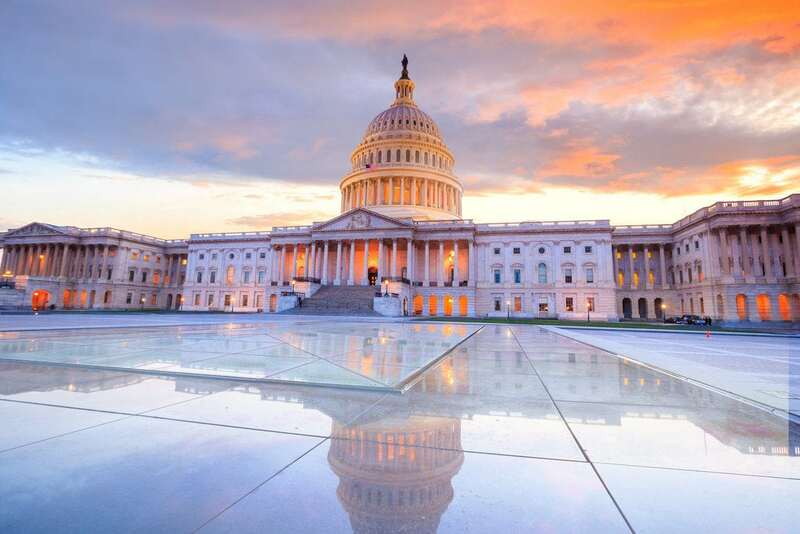 The NDAA serves as a legislative response to the urgent need for military users to have ready access to resilient, robust and secure satellite communications (satcom) across the full spectrum of engagement through the support of commercial satcom (comsatcom). With the space environment growing increasingly contested and operationally challenged, the NDAA provides a framework for, and marks the first step toward, crucial reorganization and consolidation of space capabilities. It presents a clear opportunity for comsatcom to become an integral part of the satcom architecture. Among the FY 2018 NDAA’s key provisions for national security space programs are changes in the space organization and management. The NDAA requires the deputy secretary of defense to develop an independent plan to establish a separate military department responsible for the national security space activities of the Department of Defense (DOD) by Dec. 31, 2018. This is a clear recognition that satcom has emerged as an area which requires extremely senior-level organizational strength and focus. A single DOD office will oversee all national space activities, claiming ownership of the procurement, policies and practices, which will address key issues such as the need to elevate satcom capabilities while ensuring a more protected, resilient space environment. This also signifies that lawmakers support the evolvement of policies toward fully synchronized, end-to-end space capabilities — a strategy that drives satellite acquisition away from the aforementioned piecemeal and antiquated procurement model, which may lead to removing decades-old impediments for success. Under the NDAA, comsatcom will “enter the mainstream” in new and compelling ways. All of this will start with the commander of Air Force Space Command (AFSPC) and the Joint Force Space Component Commander, U.S. Strategic Command – Gen. John W. Raymond. Gen. Raymond, will serve a term of at least six years, with the “sole” authority for organizing, training, equipping and maintaining mission-ready space and cyberspace forces and capabilities for North American Aerospace Defense Command, U.S. Strategic Command and other combatant commands around the world. As part of his responsibilities, he will oversee acquisitions for defense in space, while procuring all comsatcom for the DOD beginning one year after the enactment of the NDAA. This demonstrates further movement toward consolidation of authority, while specifying that comsatcom must play a key role in the government space acquisition model. For the first time, comsatcom will “sit” right alongside military satcom (milsatcom), a transition which will position the DOD to take full advantage of an entirely integrated and holistic approach to satcom as it moves to a unified satcom architecture. It represents a very forward-looking manner of governing. It will bring a greater sense of unification as we proceed with the U.S. Air Force’s Analysis of Alternatives (AOA) for a follow-on wideband communications system to the Wideband Global Satcom (WGS) system. The AOA is currently underway, with unprecedented industry and allied participation offering new space, air and ground layer communication capabilities. It will determine the future of government satcom, paving the way for a strategy that harnesses the scale, scope and innovation of the satellite industry to achieve required effects. NDAA language which grants comsatcom authority within AFSPC will only make for more aligned and integrated outcomes from the AOA. The NDAA promises a notable expansion of authority by aligning the acquisition and operational responsibilities under a single senior leadership with the Air Force. In his dual-hatted roles as both commander of AFSPC and as the JFSCC within USSTRATCOM, Gen. Raymond will be responsible for the organizing, training and equipping of Air Force space forces as well as for executing operational command and control of joint space forces. This amounts to far more than office name changes and a shuffling of assignments. It is an acknowledgement – backed by action – that Gen. Raymond will oversee both space acquisition and operations. Again, it is a movement toward optimal integration and consolidation. It will combine purchasing initiatives with the implementation of strengthened capabilities. The latter speaks to the “So what?” factor. Our servicemen and women, after all, do not care about where satcom equipment and services come from. They care about whether satcom will enable them to effectively accomplish their mission. Thanks to the changes, there will be one leader in charge of procurement and operational delivery – a critical connection if we seek to respond to the complexities and challenges of the modern mission. With commercial providers fully prepared to profoundly enhance satcom capabilities for the military, we consider the expansion of Gen. Raymond’s duties to be quite a milestone. It remains to be seen how the rhetoric about the importance of space will be matched by policy and funding. The satellite industry will watch closely with great anticipation of a partnership, which will establish more integration, cohesion and capabilities to satcom acquisitions and operations. With this, military users will have their “So what?” questions answered with an affirmative sense that their commanders truly understand what matters — maximum satellite communications functionality, resiliency, portability and security — and what does not (i.e., “who owns what”). 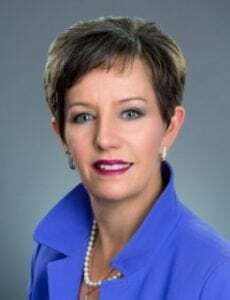 Rebecca M. Cowen-Hirsch is Senior Vice President for Government Strategy and Policy of Inmarsat Government Inc. With 25 years of experience in defense, aerospace, and executive leadership, she served as the Program Executive Officer for SATCOM, Teleport and Services at DISA. She also established the Defense Spectrum Office, serving as its first Director. She is a rated experimental flight test engineer, and became the first female civilian Mission Commander for the Advanced Range Instrumentation Aircraft (ARIA) mission. She was awarded the Exemplary Service Medal for her years of selfless service to the Department of Defense. The post NDAA: A Step Forward to Stronger, Unified Satcom appeared first on Via Satellite.